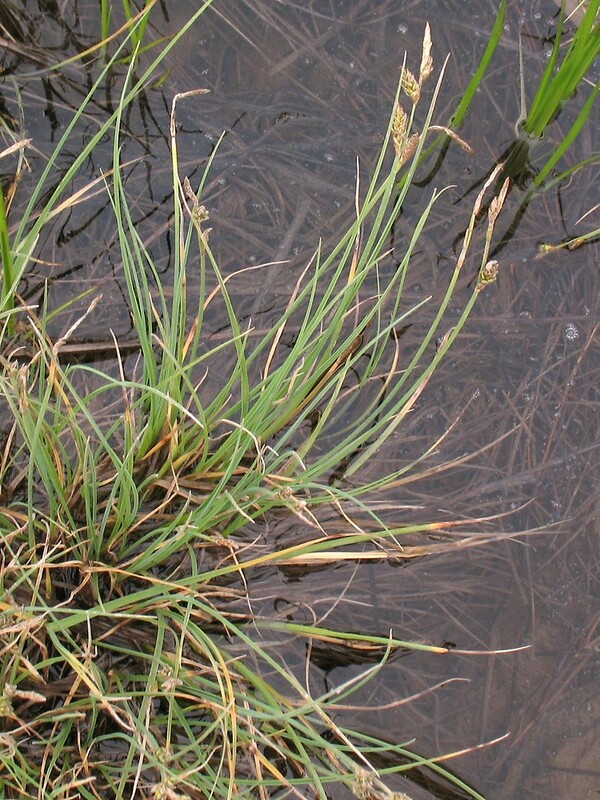 Within New England, Mackenzie' s sedge is found only in brackish and salt marshes of Maine. 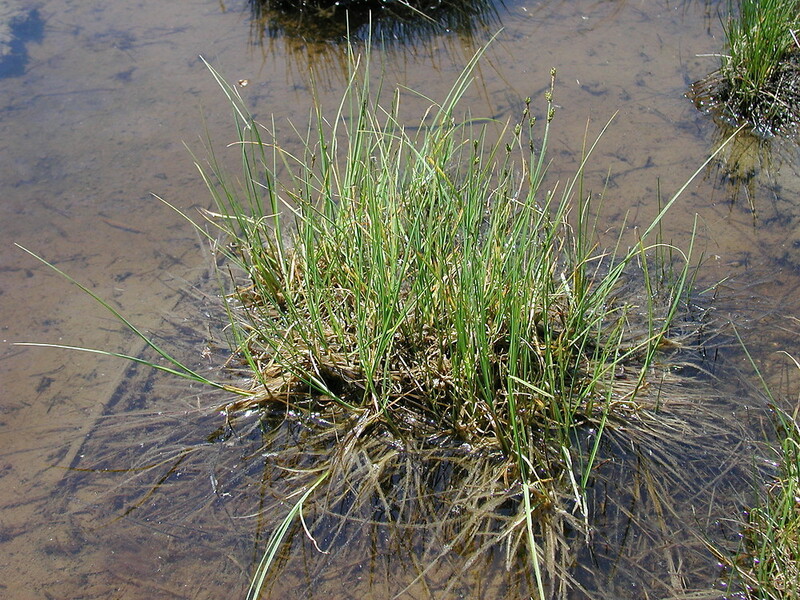 It is loosely clumping and often has long stolons. 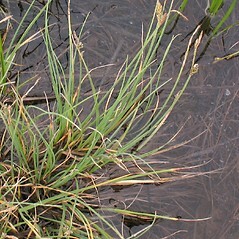 Mackenzie’s sedge. 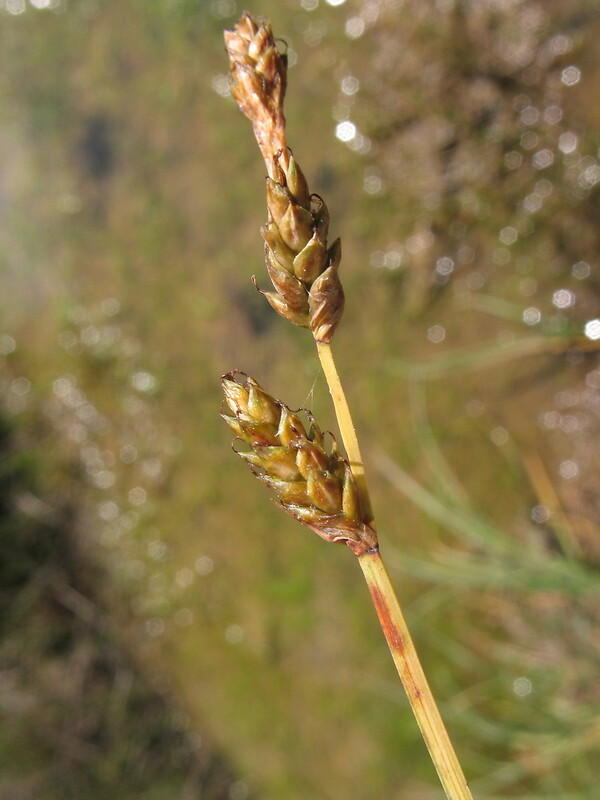 Carex norvegica Willd. ex Schkuhr • ME. 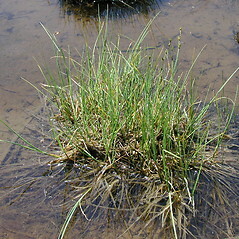 Brackish and saline marshes. 70×71. 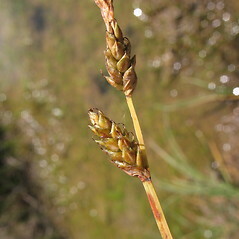 Carex canescens × Carex mackenziei → Carex ×‌pseudohelvola Kihlm. 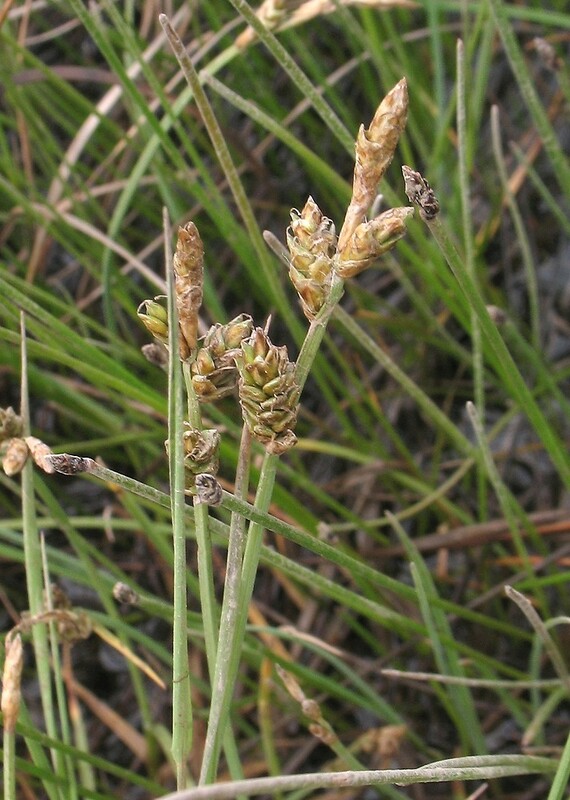 is a rare sedge hybrid that is known from ME. It is similar to C. mackenziei in that the carpellate scales ± equal the perigynia and cover them. 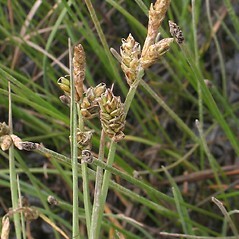 However, the hybrid differs from that species in its scabrous upper angles of the stem and the carpellate scales that are weakly tinged with red-brown.